In the 19th century the fishing village of Cleethorpes on the Humber Estuary was transformed into a bathing resort for holidaymakers coming by train from Yorkshire and Lincolnshire. Lots of the things that attracted Victorian tourists to Cleethorpes remain today, like the big beach, pier, boating lake, promenade and string of well-kept seafront gardens. On a summer’s day Cleethorpes means lazing in the sunshine, playing a round of crazy golf and indulging in fish and chips and an ice cream. 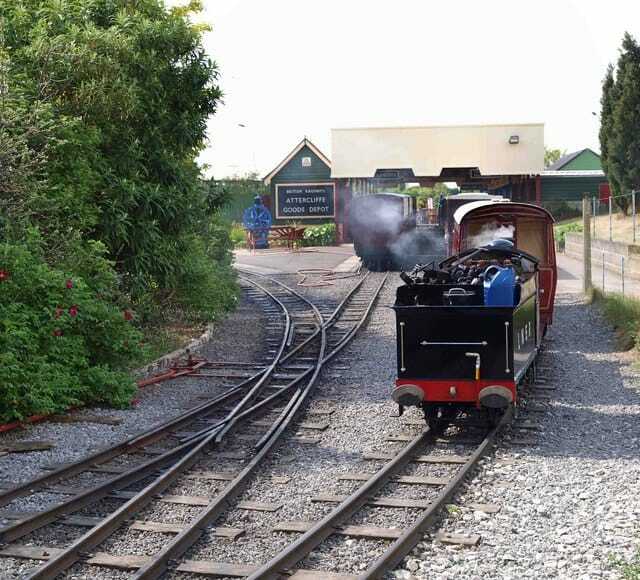 The miniature railway is one of the best in the country and dates back to 1948, while the town of Grimsby is right next door and at one time was the world’s largest fishing port. 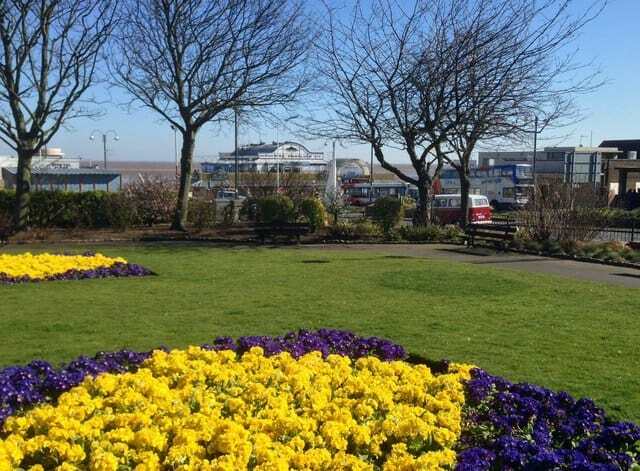 Cleethorpes’ seafront is one long golden sandy beach, hemmed by a promenade, gardens, amusements and places to grab an ice cream or cup of tea. The beach is on a very shallow slope and has a hug intertidal zone. Low tide reveals a vast expanse of mud, with the stumps of a forest that grew here 4,000 years go. If you feel tempted to explore the flats, be sure to keep an eye on tide times. In the school summer holidays the beach can fill up quickly especially around the pier, but you don’t have to walk far to the south for a more peaceful patch. Children can go on donkey rides on the sand and, as we’ll see, there’s a big choice of attractions within a few steps of the shore. There’s an innocent charm to this miniature railway along the seashore in Cleethorpes. The line has just celebrated its 70th birthday and makes 45-minute return journeys throughout the day from March to September, stopping at three stations. You’ll ride behind one of 12 steam or diesel locomotives, the oldest of which was built in 1933. The main station is Lakeside Central, which has a cafe and the Signal Box Inn, touted as the smallest pub in the world, with seating for just four customers. At Kingsway station you’ll find the railway’s gift shop, selling souvenirs for the line. Since you’re so close there’s no excuse not to pop over to the traditional fishing port of Grimsby. Although the fishing industry in Grimsby has been scaled back since the (non-violent!) Cod Wars with Iceland in the mid-20th century, it remains a linchpin of the local economy, and is in the town’s soul. 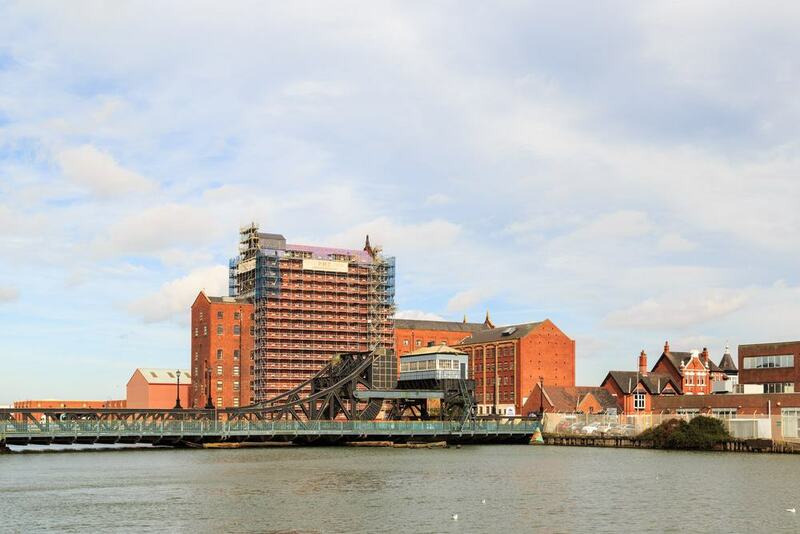 Grimsby’s big landmark is the 61-metre Dock Tower (1852). Its Renaissance-style facade, designed like Siena’s Palazzo Pubblico, concealed a massive reservoir to provide hydraulic power to the machinery on the docks. Some other pieces of industrial heritage the Corporation Bridge, the Grimsby Ice Factory and the gigantic Victoria Mill. The Grimsby Fishing Heritage Centre recounts the story of the distant waters fishing fleet, and has a 20th-century trawler, the Ross Tiger, that you can tour. Tracing the Central Promenade next to Cleethorpes Beach, the Pier Gardens is the sort of neatly tended seafront park that is a mainstay of English coastal resorts. A perennial Green Flag winner, the gardens date to the 1860s are furnished with picture perfect formal flowerbeds, carpet lawns. clipped hedges, rockeries and shrubs. At the centre is an ornamental waterfall and just behind this there’s a crazy golf course and putting green. The whole time you’ll be able to take in distant vistas of the Humber Estuary, and at the southern end is the Victorian folly, Ross Castle, which we’ll cover later. 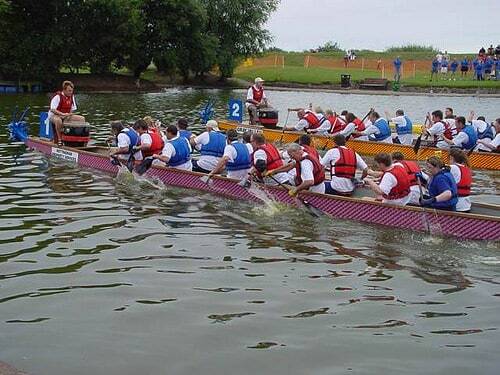 At the south end of the resort’s waterfront is Cleethorpes Boating Lake, a holdover from the Victorian period. This is actually two lakes joined by a narrow channel . The north lake is used for fishing and by model boat enthusiasts, while for well over 100 years the south rents out pedal boats and rowboats in the summer. In the centre there’s an illuminated fountain and the water is wrapped in greenery. The council has set up a tree trail next to the water, with a copper beech, sycamore, a Lombardy-poplar, Corsican pine, Monterrey pine, fruit trees and wealth of other species to identify. 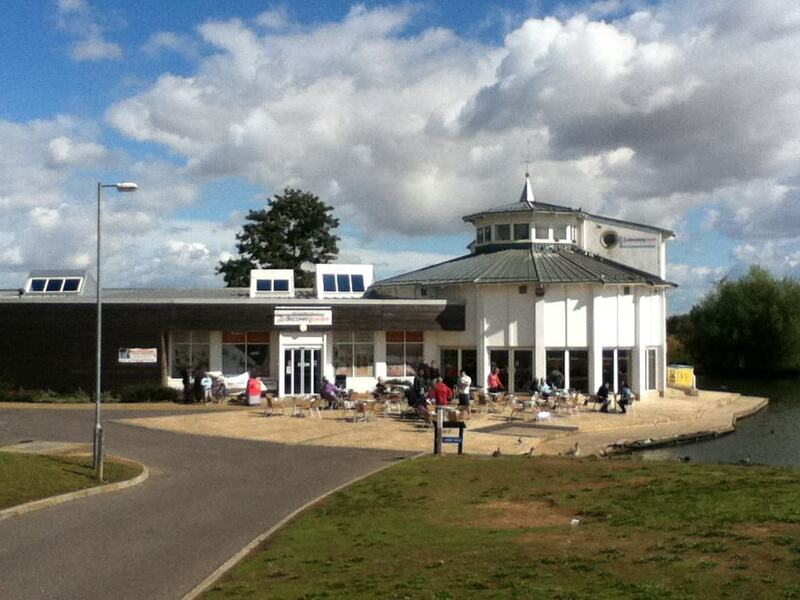 A regeneration of the Boating Lake in the early 2000 endowed it with the Cleethorpes Discovery Centre, comprising a gallery and cafe. On the shore of the Boating Lake, Cleethorpes Discovery Centre is somewhere to get in touch with local culture. Over two floors, the Community Gallery and Exhibition Gallery put on temporary exhibitions about the history of the town, as well as short-term shows for artists with local and national reputations. The Lakeside Cafe here has a terrace fronting the boating lake, and a short walk away is the ABP (Associated British Ports) Humber Observatory. This has a far-reaching vantage point for the UK’s busiest estuary, and an interactive display tracking shipping movements in real time. 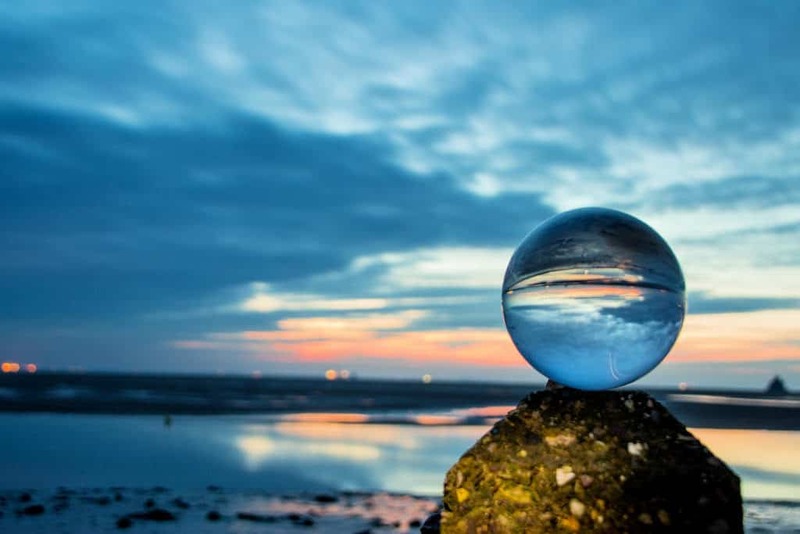 Close to the Cleethorpes Boating Lake is a compact animal attraction designed to bring children into contact with all kinds of harmless creatures. The Jungle Zoo has ring-tailed lemurs, meerkats, capuchin monkeys, pygmy goats, kune kune pigs and an assortment of birds like a barn owl, Amazon parrots and macaws. 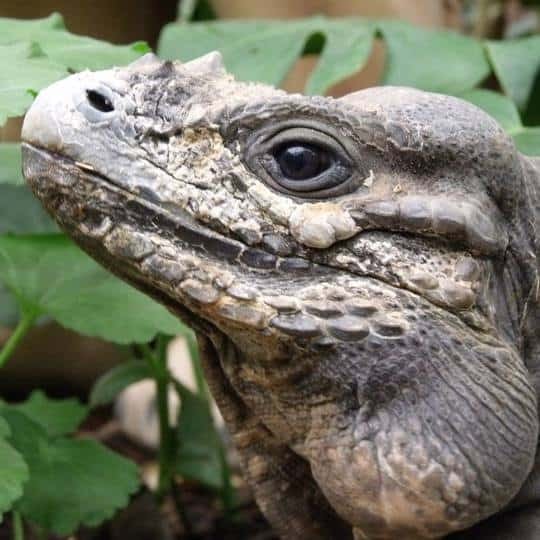 In terrariums are reptile species like chameleons, a Burmese python, soft shell turtle, as well as a variety of frogs. It may come as a surprise but there’s an enormous band of countryside just in from Cleethorpes’ waterfront, behind the town’s golf club. This used to be open farmland until 1988, when a seven-acre lake was excavated at the centre. For 364 days a year you can visit these 153 acres to navigate trails through the woodland and grassland encompassing the lake. If you’re around in winter and appreciate birdlife, the lake is a roosting spot for overwintering waders at high tide. Skylarks, easily identified by their red crest inhabit the grassland in spring and summer. The lake is suitable for fishing, boating and pond dipping, and there’s also a designated space for dogs to go swimming. 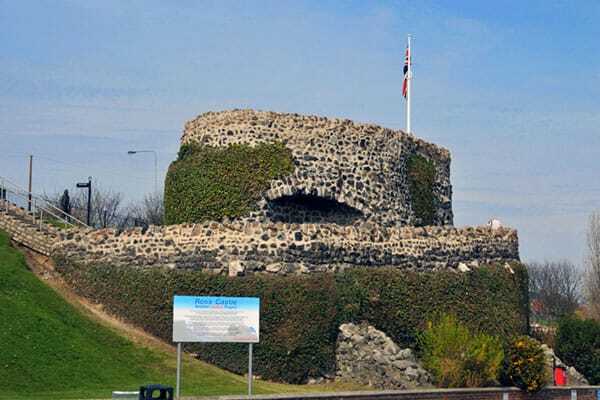 Not to be mistaken for the monument in Ireland, Ross Castle is a folly built by the Manchester, Sheffield and Lincolnshire Railway in 1863 at what was then the highest point on the cliffs behind Cleethorpes Beach. Designed like a Medieval ruin, the folly is named after Edward Ross, the secretary of the railway company at that time. The stonework is cloaked with foliage, which lends it a little more gravitas, and its flagpole flies the Blue Flag on the years Cleethorpes Beach is awarded this designation. Head up for a satisfying perspective of the beach, pier and Pier Gardens. 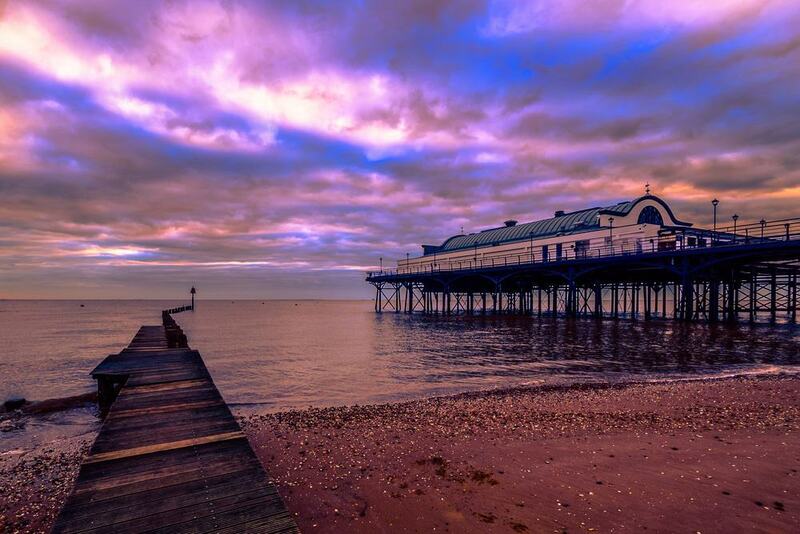 A monument with an eventful past, Cleethorpes Pier opened in 1873. At that time it was far longer, at more than 365 metres, to compensate for the big differences between high and low tide in the estuary. But its length was identified as a defensive vulnerability in case of a German invasion in the Second World War and all but the landward 100 metres was removed. As with all British piers the structure has had to deal with fires and ownership issues, but its pavilion (1905) remains. This has been an exhibition hall, amusement arcade and nightclub, but as of 2018 is occupied by a branch of Papa’s Fish and Chips, and claims to be the largest fish and chips shop in the UK. 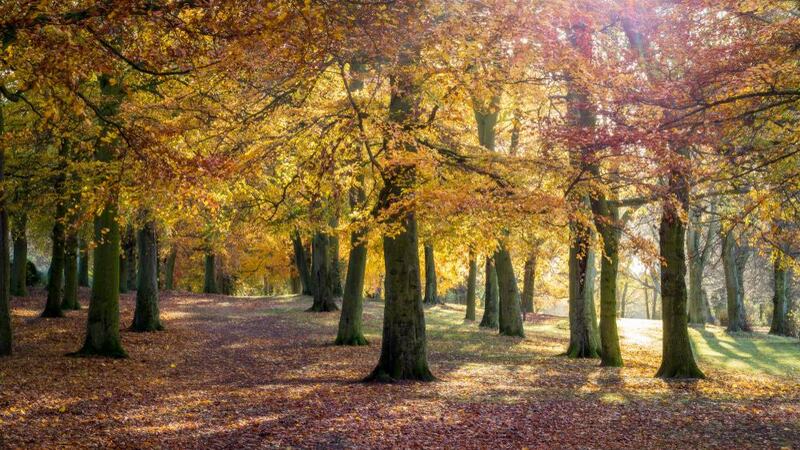 At the boundary between Cleethorpes and Grimsby, Weelsby Woods is a spacious park on what used to be the grounds of a manor house that has long since been demolished. A patchwork of mature woodland, meadows and tended lawns, the park was gifted to Grimsby in the 1950s by the Boston Deep Sea Fishing and Ice Company. One of the Weelsby Woods’ abiding features is its pair of ornamental stone lions guarding the entrance. These were commissioned way back in 1876 by an eccentric local fishing merchant and were donated to the council in 1915. Cleethorpes is on the Prime Meridian at 0° Longitude, and the line grazes the town on its way into the Humber Estuary. 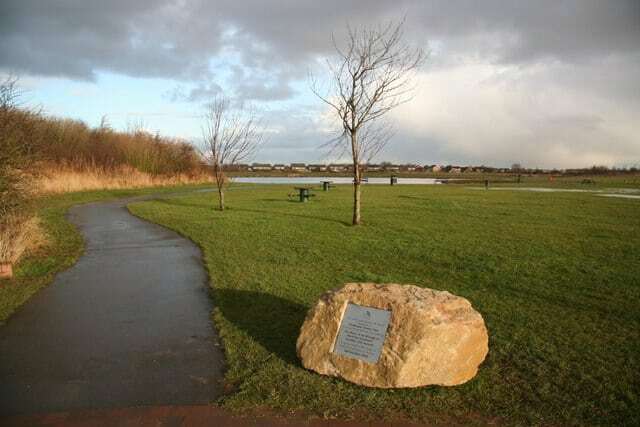 If you head to the coastal path by the southern end of the Boating Lake the line is represented by a bronze marker in the ground, next to benches where you can linger over the view of the estuary. 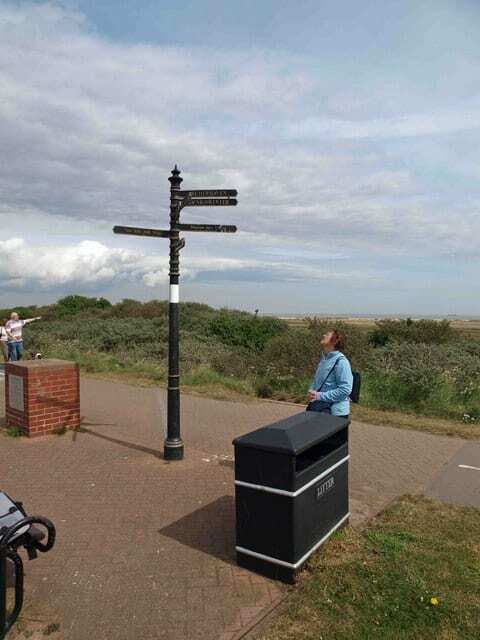 The signpost by the path gives directions and distances to some places around the globe, some relatively close like London at 143 miles away, and some a bit more distant like New York (3,418 miles) and the South Pole (9,919 miles). You could spend a half day out in Lincolnshire’s pastoral countryside at this mill not far outside Grimsby. There has been a series of windmills at this spot since 1666, and the current lofty structure dates from 1878. 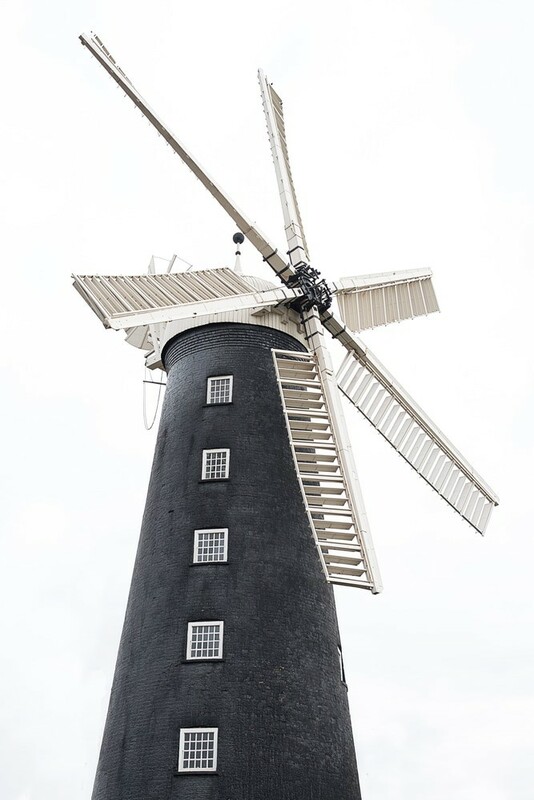 The mill was powered by wind until 1963 and was last restored in 2013. Six of its sails and its cap are in place, and the mill continues to grind flour from time to time. In the grounds there’s an array of small but endearing attractions like a miniature railway, a cafe in a former Great Northern Railway carriage, a museum about rural life in Lincolnshire and a museum dedicated to telephones. Continue down the coast, just past the Thorpe Park Holiday, and you’ll be at one of a chain of important nature reserves on the Humber Estuary. 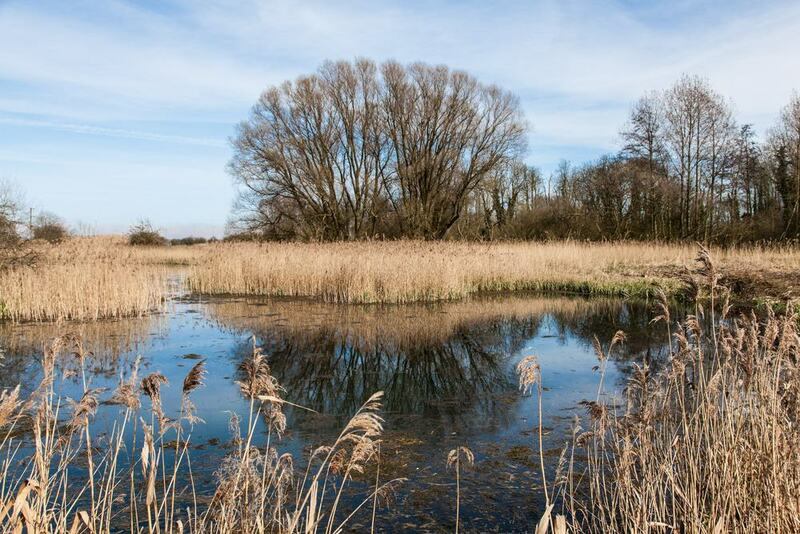 The site is managed by the RSPB (Royal Society for the Protection of Birds) and its wetland environment is a magnet for wading birds, especially during the autumn migration. In September and October there are up to 30,000 waders on the Tetney Marshes. In among the sanderlings, ringed plovers, common sandpipers, curlews, godwits and redshanks, you may get to see some rarities not often spotted on these shores, like the American white-rumped sandpiper. On the last weekend of June the waterfront at Cleethorpes stages parades, live music by military bands, remembrance ceremonies, fireworks, air displays and markets to celebrate Armed Forces Day. In 2016 the event for the whole of the UK was based in Cleethorpes, while in 2018 there was an extended programme to commemorate the centenary of the Royal Air Force. 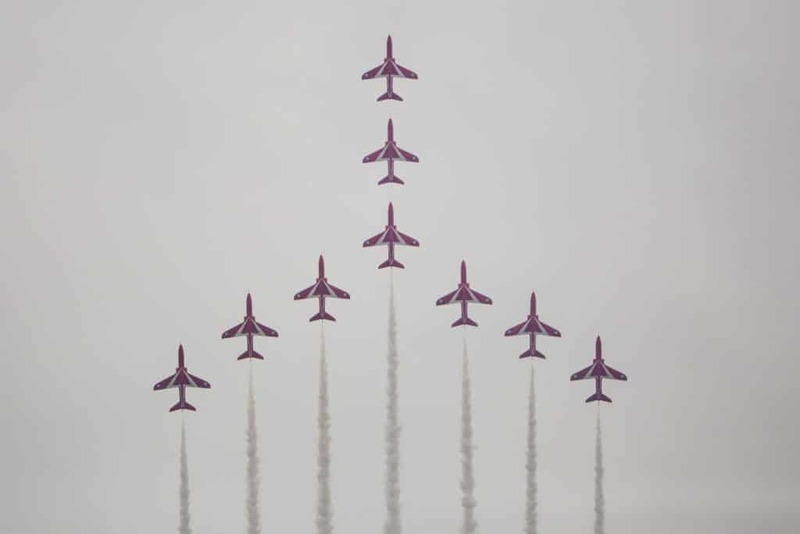 The RAF’s aerobatic team, the Red Arrows is based not far away at RAF Scampton, and its flight display is a highlight of the event each year. And if you have an eye for historic aircraft you’ll see the likes of Spitfires, a Dakota, a Catalina and a BAC Strikemaster in the skies over the resort.